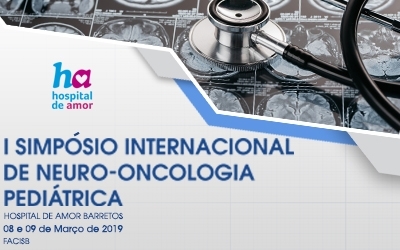 Join us in Barretos as we host our 1th INTERNATIONAL PEDIATRIC NEURO-ONCOLOGY SYMPOSIUM. Our goal is the sharing of ideas and offer attendees a state-of-the-art update in the field of pediatric brain tumor, both research and patient-care management. Scientific program chairs Carlos Almeida Jr MD, Bruna Mançano MD, Rui Manuel Reis PhD, and the Academic League of Neurology (FACISB) invite oncologists, pediatric oncologists, neurosurgeons, radiation oncologists, neurologists, nurses, basic science researchers, neuro-pathologists, neuroradiologists, endocrinologists, psychologists, social workers, rehabilitation specialist and other professionals involved in the care of children and young adults with central nervous system tumours. Carlos Almeida Junior - Division of Pediatric Neurosurgery, Barretos Children and Young Adult's Cancer Hospital. Coordinator of the Department of Oncological Neurosurgery, Barretos Cancer Hospital. Fabio Faustino, MD Department of Pediatric Radiotherapy, Barretos Children and Young Adult's Cancer Hospital. Vijay Ramaswany, MD, PhD Staff Physician, Neuro-Oncology Section – The Hospital for Sick Children, Toronto (Canada) Assistant Professor, Paediatrics – University of Toronto (Canada). Maristella Francisco dos Reis, MD Pediatric Oncologist, Pediatric Oncology Unit, University Hospital of Ribeirão Preto Medical School, University of São Paulo. Carlos Almeida Jr, MD Division of Pediatric Neurosurgery, Barretos Children and Young Adult's Cancer Hospital. Gustavo de Carvalho Pugliesi, MD Anesthesiologist, Department of Pediatric Anesthesiology, Barretos Children and Young Adult's Cancer Hospital.